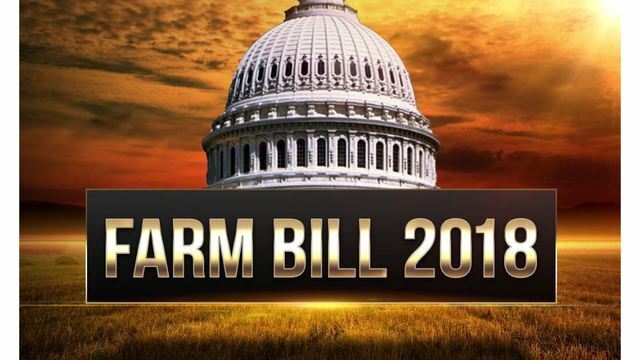 Now that President Donalj J. Trump has signed the 2019 Farm Bill and removed hemp from the controlled substances list, the country is wide open for growth and expansion. One CBD company, My Daily Choice grew sales from $9 million in 2017 to over $100 million in 2018. The world noticed. Thousands of companies are now adding cbd to their product line. Of course, some are better than others, and Hempworx offers an unconditional 30 day money back guarantee. Today, for the first time, the USDA took their listening tour on the road, and held a session in Louisville, KY, featuring Under Secretary for Marketing and Regulatory Programs Greg Ibach and Risk Management Agency (RMA) Administrator Martin Barbre. 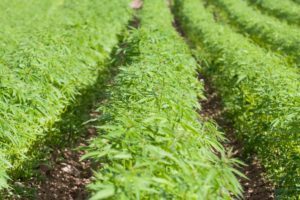 Hosted by hemp heroes Senate Majority Leader Mitch McConnell and Kentucky Agriculture Commissioner Ryan Quarles, the USDA officials heard directly from hemp farmers, processors and manufacturers…and Roundtable General Counsel Jonathan Miller. As USDA develops its regulations in time for the 2020 growing season, it is essential that there be uniformity, replacing the current patchwork of fifty different state laws. Key to uniformity are consistent testing standards, seed certification/registration, and transportation regulations. Even though we await USDA regulations later this year, we need USDA’s to help clarify that the underlying law has already changed. Hemp is legal NOW; it is no longer considered a controlled substance; and we don’t need to wait for USDA regs to engage in hemp commerce or transport hemp products. We need to enlist the USDA to comfort financial institutions that they can transact business NOW with hemp companies, and to remind law enforcement that they cannot interfere with the interstate transport of hemp or hemp products. It’s also time NOW for the USDA to open up its grant and research and development dollars to hemp business and innovation. The hemp industry stands willing to be a full partner in the regulatory future, and the USDA should rely on the US Hemp Authority to provide high standards, best practices and self-regulation to assure consumers that hemp products are safe and give law enforcement confidence that hemp products are legal. My Daily Choice/Hempworx has already created a few millionaires with their Network Marketing of CBD Oil and products. A simple Google search on the benefits of cbd will provide millions of results. The undisputed scientific proof as well as testimonials from hundreds of thousands of people regarding relief from such things as epilepsy, anxiety, diabetes, Multiple Sclerosis, ADHA, ADD, pain, sleep disorders, and many others have people saying NO to government lies about hemp derived cbd being harmful. The Bible states that God crested the herbs for the benefit of mankind. Some of the most dedicated Disciples of Satan disagree, but have zero evidence. If you would like to start your own CBD business and have the farming, manufacturing, laboratory work, warehousing, shippinf and receiving, all done for you for free, please take a FREE Tour to see if this business is for you. PREVIOUS POST Previous post: Are God’s creations legal in your state? NEXT POST Next post: Have you noticed how incredibly evil banks are?